Because preprints are part of the scholarly record, they cannot be deleted. 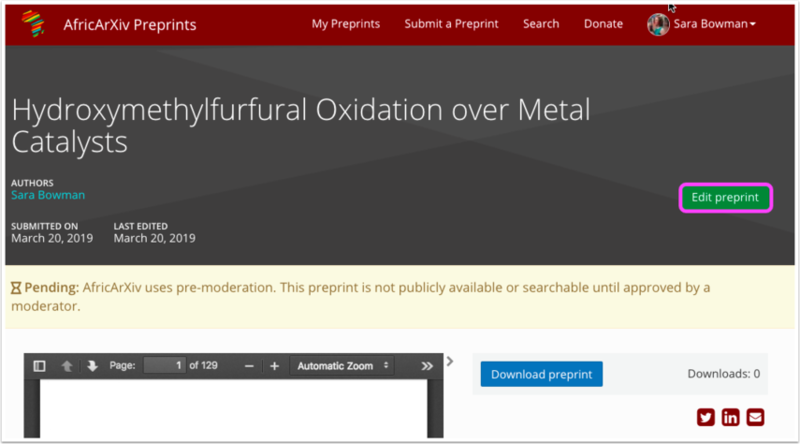 However, preprints can be withdrawn, removing the content but leaving behind basic metadata like title, authors, and the reason for withdrawal, if the author chooses to provide it. Withdrawing an accepted manuscript from a pre-moderation service requires the approval of a moderator. 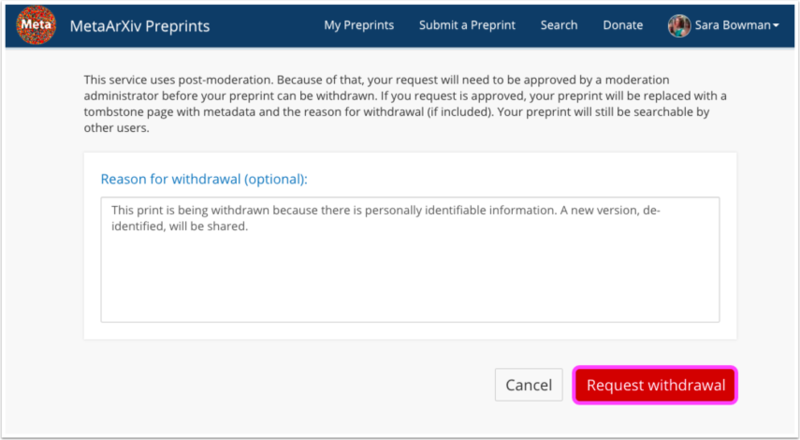 Your preprint will remain publicly visible until your withdrawal request is approved. 1. 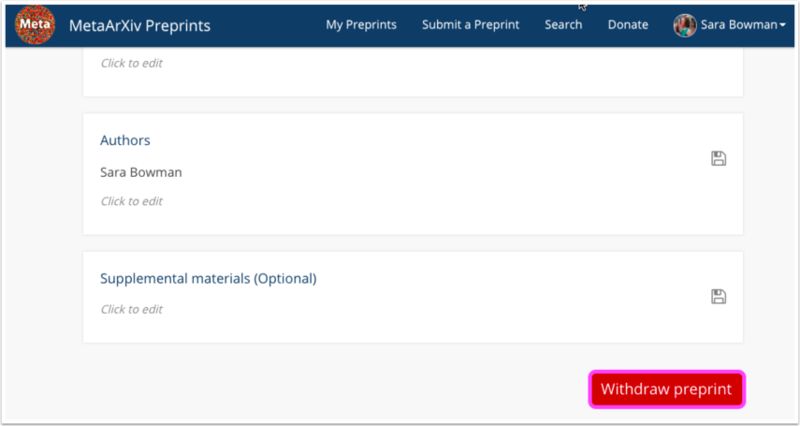 Navigate to your preprint and click "Edit Preprint." 2. Scroll to the bottom of the page and click "Withdraw Preprint." Optionally, add a message indicating why you'd like to withdraw your preprint. 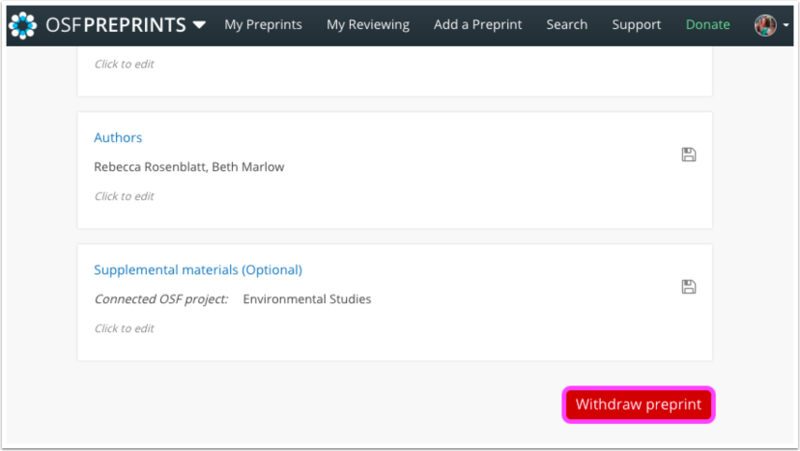 Preprints in the pending state can be withdrawn from a pre-moderated service immediately, and do not require moderator approval. 2. Scroll to the bottom of the page and click "Withdraw preprint." 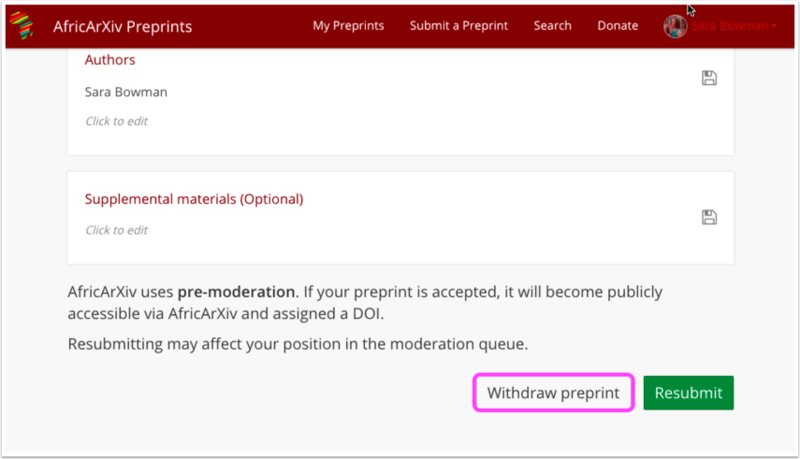 Optionally, add a message indicating why you're withdrawing the preprint. Your preprint will be withdrawn immediately and will not be made public. The reason for withdrawal will be visible only to service moderators. Withdrawing a preprint from a post-moderation service requires the approval of a moderator. Your preprint will remain publicly visible until your withdrawal request is approved. 1. 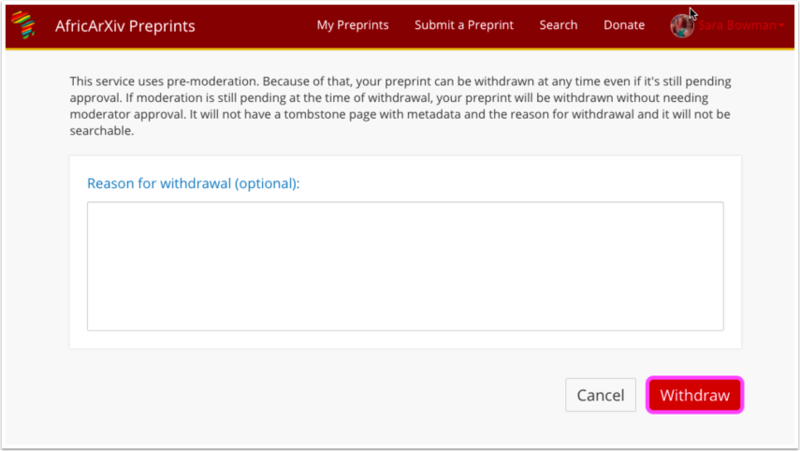 Navigate to your preprint and click "Withdraw preprint." 2. Scroll to the bottom of the page and click "Withdraw preprint." Optionally, enter a message indicating why you'd like to withdraw your preprint.